Feeling exhausted? Can’t sleep? Have a shorter fuse? 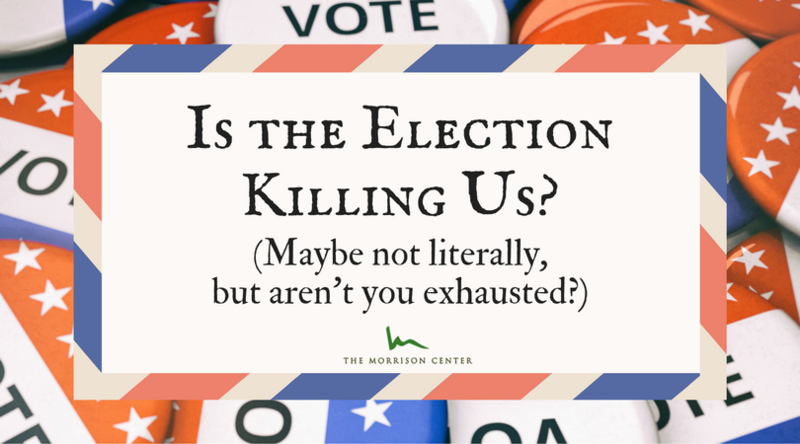 It could be election stress and you’re not alone. From stress eating or drinking to full blown insomnia, the upcoming presidential election seems to be affecting just about everyone. Here’s a quick explanation of the biology at play and what you can do about it. The sympathetic nervous system is essentially the gas petal of the body. It tells our body that there’s a (perceived) threat and we need to act accordingly. Our pulse quickens, our pupils dilate, we take in more oxygen, our adrenals start pumping out the “stress hormone” cortisol, and we are prepared for a “fight or flight” response. It doesn’t matter if we’re being chased by a tiger, or arguing with a neighbor (or reading an infuriating Facebook post) – cortisol throws our bodies into the “fight or flight” response. By contrast, our parasympathetic nervous system is akin to tapping on the breaks. It’s our “rest and digest” mode, and it’s where we want to be most of the time. However, many of us can get “stuck” in the sympathetic “fight or flight” state. When our minds and bodies are exposed to extended periods of stress, we can get stuck in sympathetic nervous system overdrive, because there is no mechanism to break down cortisol once it gets released. The adrenal glands secrete cortisol and constant cortisol surges can, over time, adversely affect the adrenal glands, leading to fatigue and poor sleep. While we can’t avoid all stressors, establishing a habit of mindful relaxation can help our bodies cope better with daily stress. Balance your blood sugar: While carb and sugar cravings are common during high stress periods, sugar and refined carbs like bread and pasta further tax adrenal glands. Steer clear of added sugar, refined carbs, and excessive caffeine. Instead, try some nuts, crunchy veggies (such as celery, carrots and radishes), and swap afternoon coffee for tea or herbal tea. Get earlier zzzz’s: Going to bed earlier improves the quality of the sleep you get, which also helps your adrenal glands. The goal is 8 hours a night. Take a chill pill: Certain herbs, such as ashwaganda, Korean ginseng, holy basil and rhodiola, can also help support our bodies and increase resiliency during times of stress. Speak to your TMC healthcare provider about the adrenal support supplement that might be right for you. 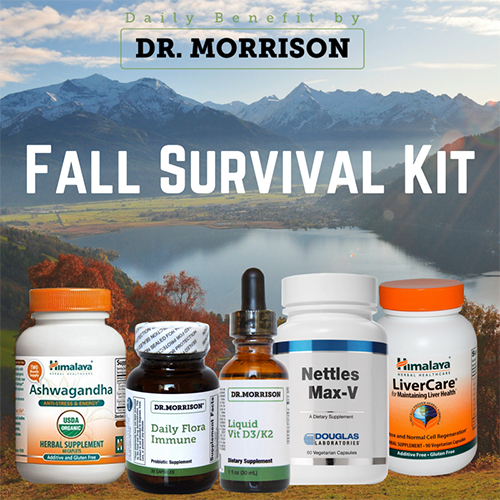 To learn more about adrenal support supplements, click here. Robin Foroutan, MS, RDN, HHC is a registered dietitian nutritionist specializing in Integrative Medicine, Functional Medicine and holistic healing modalities. Robin combines the basic tenets of healthy eating with the emerging science of an Integrative and Functional Nutrition approach, utilizing dietary interventions and elimination diets, supplements, nutrigenomics, and mind-body techniques to help her clients address complicated conditions and return to wellness. Read Robin’s full bio.